Deacon Mike Bickerstaff is the Director of Adult Education and Evangelization for St. Peter Chanel Catholic Church in the Atlanta Archdiocese and has earned national attention for his innovative approach to sharing our Faith. 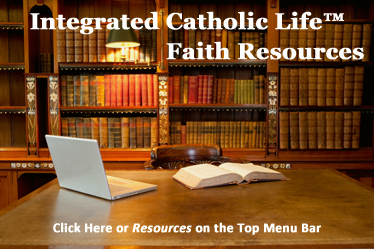 He is the Editor-in-Chief for the Integrated Catholic Life™ which he co-founded with Mr. Randy Hain in 2010. He is also a co-founder of the successful annual Atlanta Catholic Business Conference; the Chaplain of the Atlanta Chapter of Georgetown University’s Woodstock Theological Center’s Business Conference; and Chaplains to the St. Peter Chanel Faith at Work (Business Association) and co-founder of the Marriages Are Covenants Ministry, both of which serve as models for similar parish-based ministries. Deacon Mike has long had a large and loyal following of Catholics and non-Catholics who enjoy his presentations on every aspect of Church teaching. Ordained to the diaconate on February 4, 2006 by Archbishop Wilton D. Gregory for the Atlanta Archdiocese, Deacon Mike Bickerstaff is assigned to St. Peter Chanel Catholic Church in Roswell, Georgia where he is the Director of Adult Education and Evangelization. He completed five years of education and spiritual formation at the St. Stephen Center for Diaconal Studies in Atlanta, Georgia prior to his ordination. 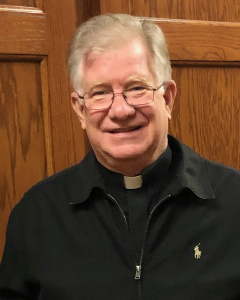 Deacon Bickerstaff is active in spreading the faith among both adults and youth as a witness, catechist and bible study leader at work, home and the parish. In the early days of connected personal computers, Deacon Mike helped to pioneer the Catholic presence on the internet as a senior designer and site moderator. Today, Deacon Mike continues that work through Catholic web design and communications and the Integrated Catholic Life™. Deacon Mike has been very active in the effort to integrate faith, family and work. He has established a Major Speakers Series at St. Peter Chanel which attracts many of the most sought-after Catholic speakers from around the world and a Guest Speakers Series to showcase local Catholic leaders, both lay and clergy. A published author, he has written numerous articles on the faith and is currently authoring his first book with Randy Hain titled, The Integrated Life: Practical Wisdom for Learning and Living the Faith. Deacon Mike has been interviewed concerning these writings on nationally-aired Catholic radio programs. He is also the Founder and President of Virtue@Work, where he provides Executive and Personal Coaching, Mentoring and Organizational Consulting. Deacon Mike has 30+ years management consulting experience in senior executive leadership positions providing organizational planning and implementation services with a focus on human resource strategy and tax qualified retirement plan design, administration and compliance. He is a B.S.Bus.Ad. graduate from the University of Southern Mississippi with a major in Accounting. Deacon Mike and his wife have two adult children and four grandchildren. We recently had the pleasure of having Deacon Mike Bickerstaff speak to the BT faculty on our retreat day. He spoke of Christian Discipleship. He was excellent and we enjoyed him immensely. His presentation was tight, stayed on message yet was very relaxed and eloquent. I think it was an outstanding presentation. Thank you, Deacon, for your warmth, insights, and thoughtfulness.